Join the mailing list. We will send you updates and events, but we promise not to bombard your inbox. Also, if you include your mailing address we will occasionally send out special things in the mail. 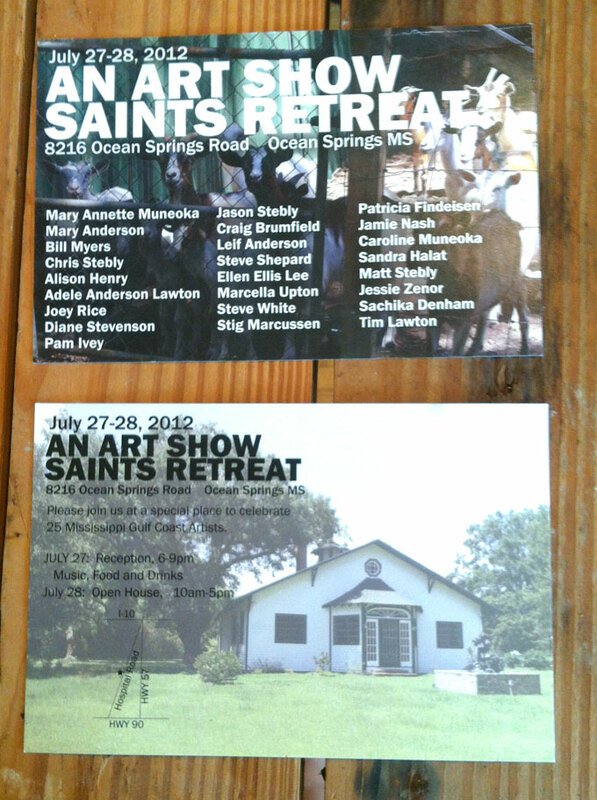 Saint's Retreat Invitational Art Shows have been such a joy to be part of, both as an artist, and an organizer. I have gotten to show next to some amazing artists. I got to help the pros hang the shows, and organize the sales. 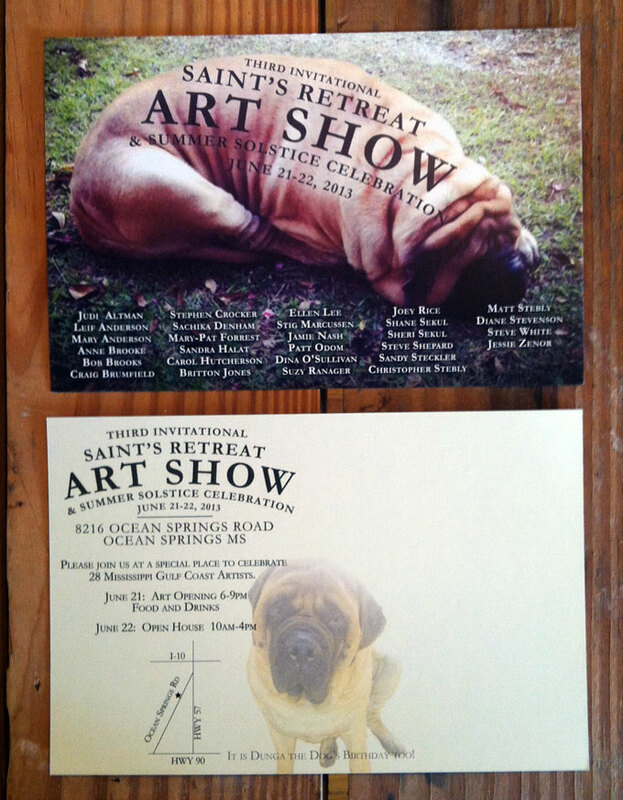 But my favorite part, aside from the actual show, was getting to make the invitations for the show. 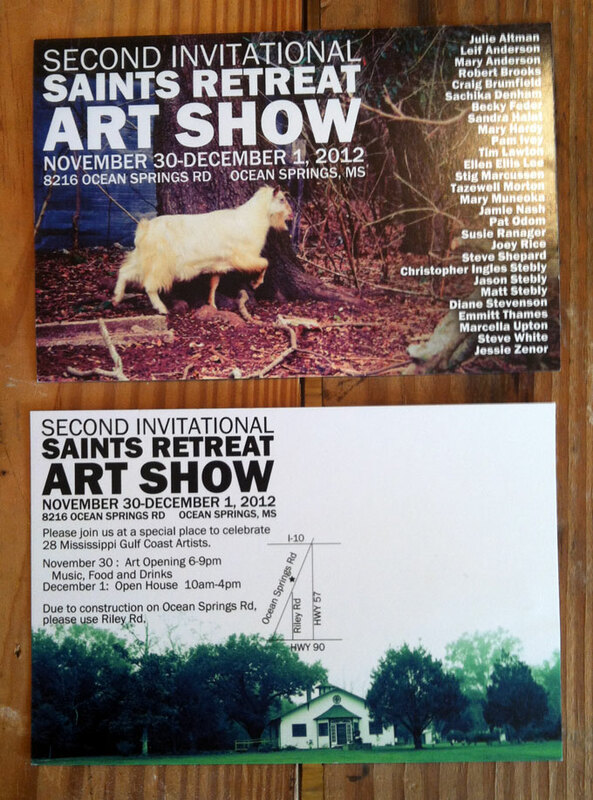 The first two events the cards featured goats from the Saint's Retreat farm. The third invitation pictured Dunga, the giant dog, whos birthday fell on the day of the show, and so he shared in the celebration. THANK YOU FOR VISITING! PLEASE CHECK BACK SOON!